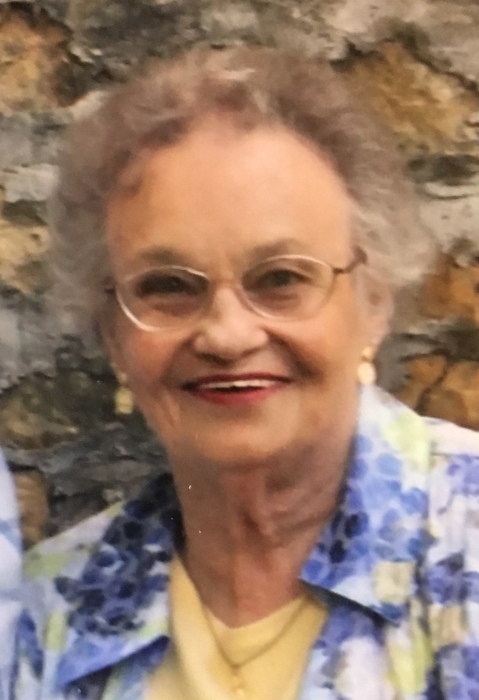 Marcile K. "Midge" Clayton, 90, of Grand Prairie Assisted Living in Macomb, formerly of Vermont, peacefully went to be with our Lord on Wednesday, Sept. 5, 2018 at her home. She was born in Rockbridge in Green County, IL on February 26, 1928 to Carl and Viola Loy Bowman. She married Charles Howard "Red" Clayton on August 14,1948 and they enjoyed 68 years of marriage. She is survived by her six children, Paulette and Dr. Gary Payne of Austin Texas, Elaine Clayton of Galesburg, Michael and Pat Clayton of Walcott Iowa, Mark and Mary Clayton of Ave Maria Florida, Janet and Brad Hall of Vermont, Karen and Thomas Akers of Carol Stream. She was loved and adored by 10 grandchildren and 5 great-grandchildren. She was preceded in death by her husband "Red" Clayton, her parents, a sister, and 5 brothers. Marcile was a graduate of Medora High School, and moved to Macomb in 1946 where she attended Western Teachers College (now WIU). Besides raising an active and growing family, Midge worked at Haegar Pottery salesroom where she retired after 20 years of service. Daughter, wife, mother, grandmother, great-grandmother and woman of faith, Midge was a member of Vermont Methodist Church and United Methodist Women as well as Vermont Auxiliary and Vermont Breakfast Club. She dedicated her life to her husband, her children and her beautiful flower garden. A private internment of ashes will be held at Chockley Cemetery in Eldorado Township. All are invited to join us in a Celebration of Life that will be held at 10 a.m. on Friday, September 14, 2018 at Wesley Village Community Center in Macomb for a time of fellowship, sharing and refreshments. The family with meet with friends following the service at 11 am. The family requests in lieu of flowers that memorials be made to Chockley Cemetery or McDonough County Public Transportation.